Pearl, I found your Easter bunny. SUPPORT SNEURO AT SEE.ME BEFORE MIDNIGHT. Please click on “SUPPORT” or “LIKE” around my profile cartoon. Pearl loves Easter, Easter bunnies, Easter chocolate and going to Easter Sunday mass every 5 or 6 years. In this situation with the pink bunny stuck up her backside, imagine if it was a chocolate bunny! Oh, the mess, the shame, the waste. 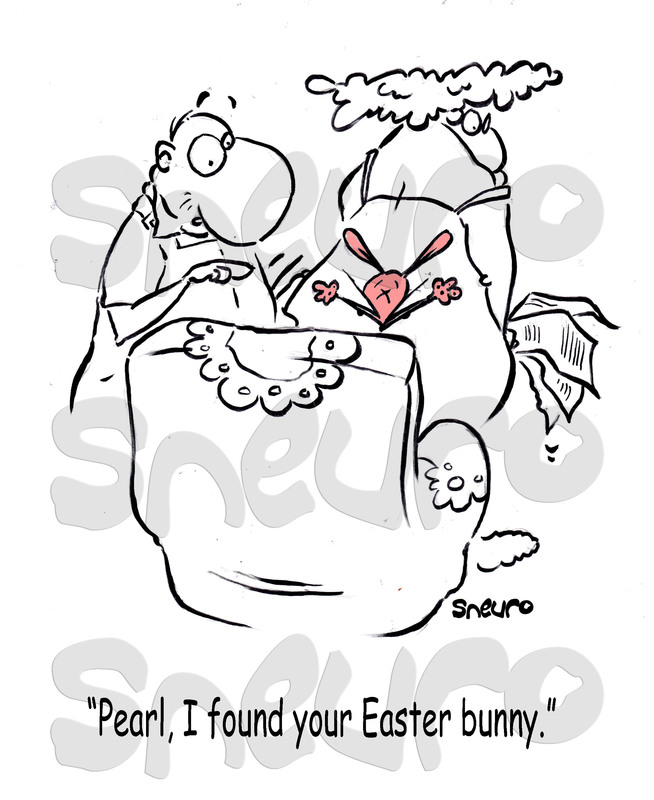 Her hubby would clean it up, but only if Pearl buys him a case of beer for the Easter feast. She’ll try resurrecting him tomorrow.